Weight Watchers is hands down the best diet out there. Mainly because it isn’t a diet, it’s a lifestyle! Weight Watchers is all about making small changes to your diet. 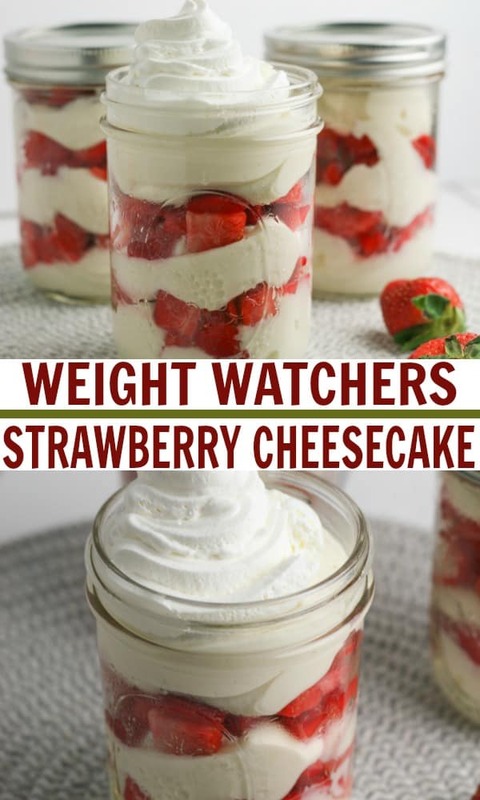 This Weight Watchers cheesecake recipe is so yummy and it’s only 1 Freestyle Point! I don’t know about you but I always have a serious sweet tooth after dinner. 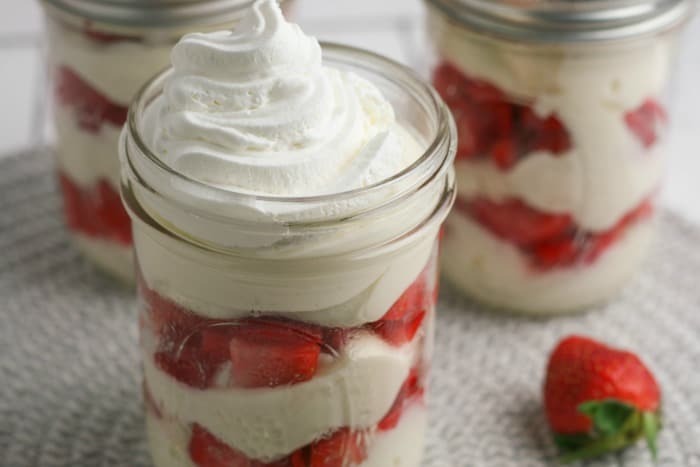 This strawberry cheesecake is a guilt-free way of curing that sweet tooth. 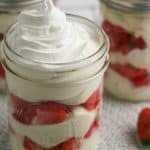 I like making these cheesecakes in a jar as it lets me prepare my desserts for the week. We always think about preparing breakfast, lunch and dinner but often forget about dessert. However, dessert is normally the biggest thing to throw us off our diet. I’m a late night snacker, so if I don’t have my desserts pre-planned, I’m headed straight for the bad stuff. I love that you can get creative with this recipe and add in any of your favorite fruits. If you want, you can even create a graham cracker crust but that will increase the Weight Watcher Points, so keep that in mind. 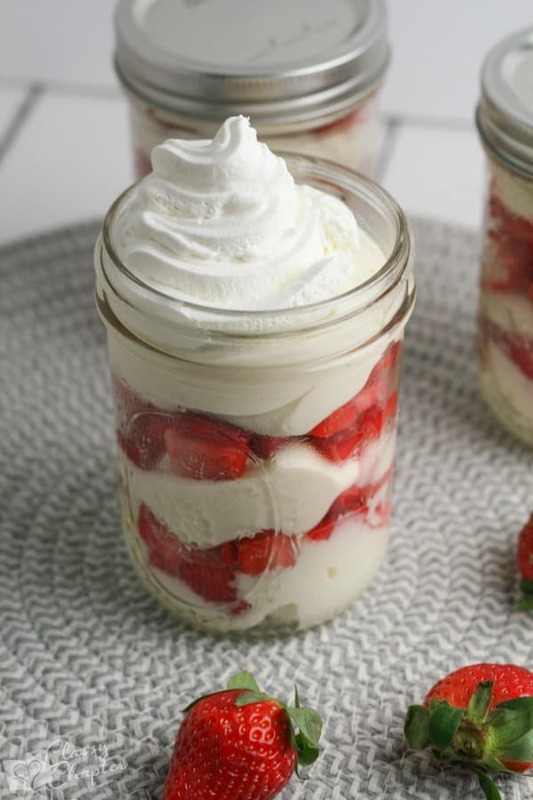 To make this yummy Weight Watchers dessert, you’ll need the following. Low Carb Strawberry Cheesecake Cookies! Only 3 ingredients. How can you beat that! Not only is it healthy but it’s simple.